South Korean banks and institutional investors will provide $140 million in syndicated loans to a US gas-fired plant project in Pennsylvania, part of $460 million loans originated by BNP Paribas to build the power plant. Of the $140 million loans, a brokerage firm and retirement savings funds in South Korean have agreed to offer $80 million at a fixed annual rate of 5% via KB Asset Management Co. Ltd., according to investment banking sources on August 14. Additionally, a number of domestic banks will make floating-rate loans of $60 million for the Hickory Run Power Development Project. It is a natural gas-fired combined cycle power plant with an electric generating capacity of up to 1,000 MW located in Lawrence County, Pennsylvania. Both types of loans have an eight-year maturity. Five years after the construction is completed, lenders are likely to refinance the loans. Sources declined to identify the Korean lenders. Ground has been broken for the plant which is expected to cost $863 million to build by 2020. Tyr Energy, Inc., a subsidiary of ITOCHU Corporation, has a 50% equity interest in the project, with Japan’s Kansai Electric Power Co. holding a 30% stake. Germany’s Siemens AG owns a 20% equity interest and will supply gas turbines for the plant. The power plant is near the Marcellus and Utica shale gas fields, meaning stable supply of gas. It will sell electricity to the Pennsylvania-New Jersey-Maryland (PJM) energy market, the largest US power market. Aged US power facilities in the northeastern US states are set to be replaced mostly by new gas capacity over the next few years. Private lending to those power projects emerged as an alternative to bank loans which have been scaled back on tighter regulations, despite concerns about oversupply of gas-fired power plants. 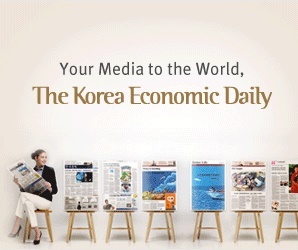 In June, four South Korean institutional investors agreed to acquire 100 billion won worth of senior debt secured on two US gas-fired power plants from a US bank. Hana Financial Investment Co. Ltd. was tapping South Korean insurers and savings funds to arrange 500 billion won financing for a new natural gas-fired plant in Maryland, according to sources in June.